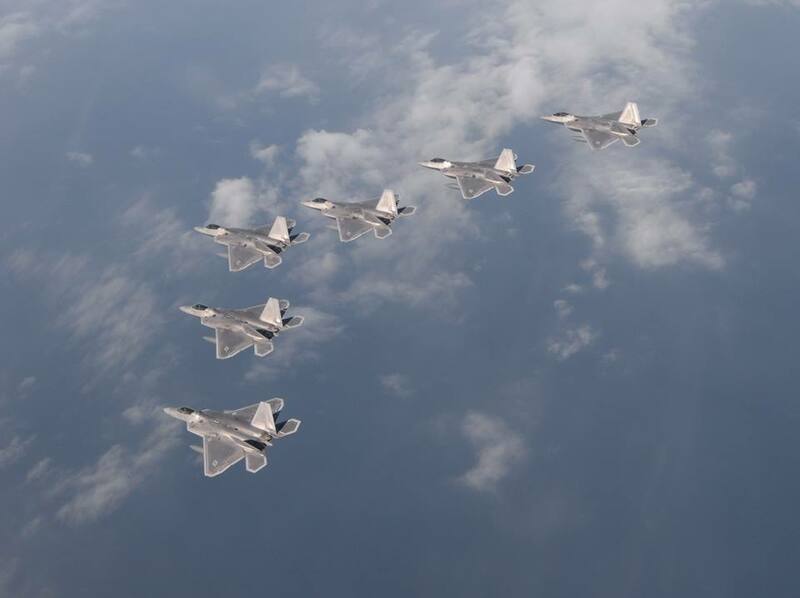 Team Tyndall launched a formation of 15 95th Fighter Squadron F-22 Raptors from Tyndall Air Force Base during a local training mission. 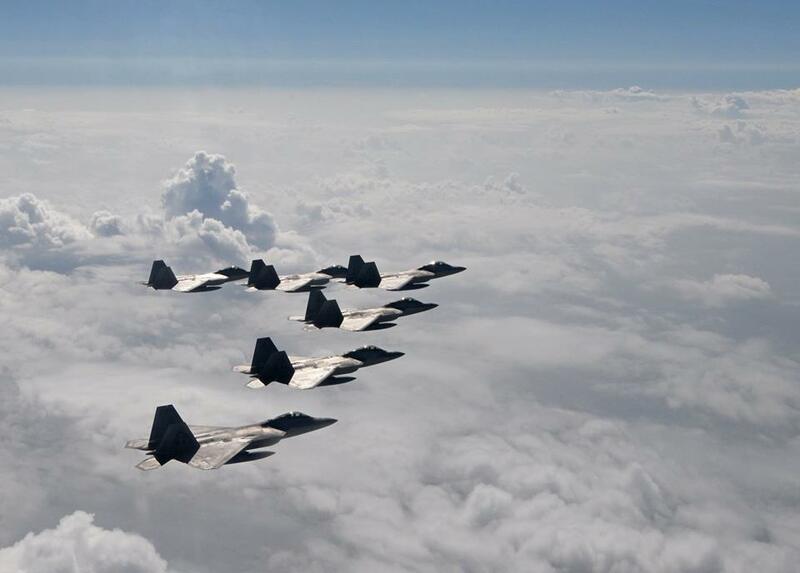 The air dominance fighters flew in formations of six, five, and four over the Gulf of Mexico. 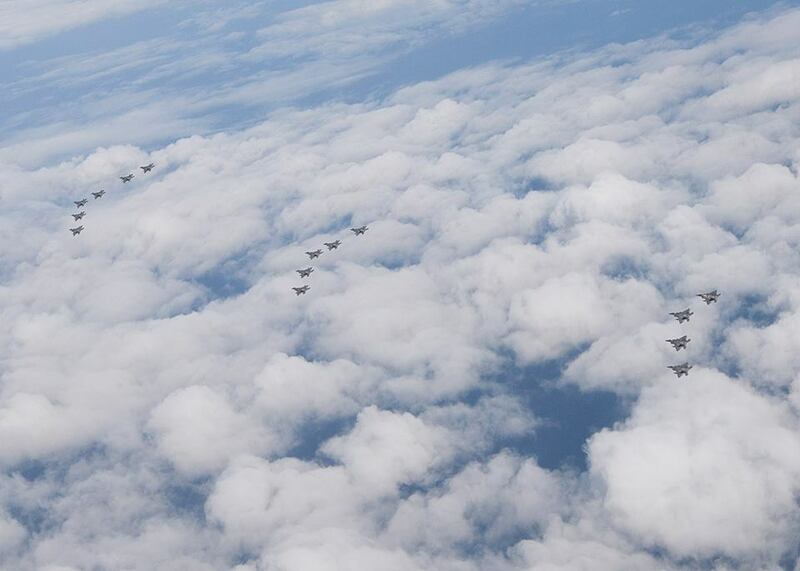 The 95th FS has recently taken part in the first Raptor deployment in Europe.